Beware of Sugar Free Products! The things you learn from other people's bad experiences. A friend of mine, who is diabetic, shared an embarrassing shopping experience. Although we both had a good laugh, I was glad she told me about it. I hope you will find this post helpful too :). My friend was out shopping one day and decided to buy a bag of sugar free jelly beans to munch on. Shortly afterward, her stomach started to feel funny. She felt bubbles popping inside...that very familiar rumbling she knew all too well whenever she ate dairy because she's also lactose intolerance. Luckily, there was a nearby bathroom. She ended up having to go back and forth to the bathroom a couple of times before she felt okay enough to drive home. She didn't immediately connect the sugar free jelly beans to her bathroom episodes. She thought she had food poisoning but after thinking back on what she ate the day it all happened, she narrowed it down to the candies. She called the store where she bought the jelly beans and low and behold, she was told the jelly beans contain a sweetener called maltitol that can have a laxative effect on some people. The sales associate told her that there was a warning label on the front of the bag. After the phone conversation, my friend looked at her jelly beans bag and surely enough, the warning label was there. She hardly ever eat sugar free candies and the few times that she did, she never encountered stomach problems as that one time. If anything, this experience taught her to read the ingredients list more closely and to look for warning labels. 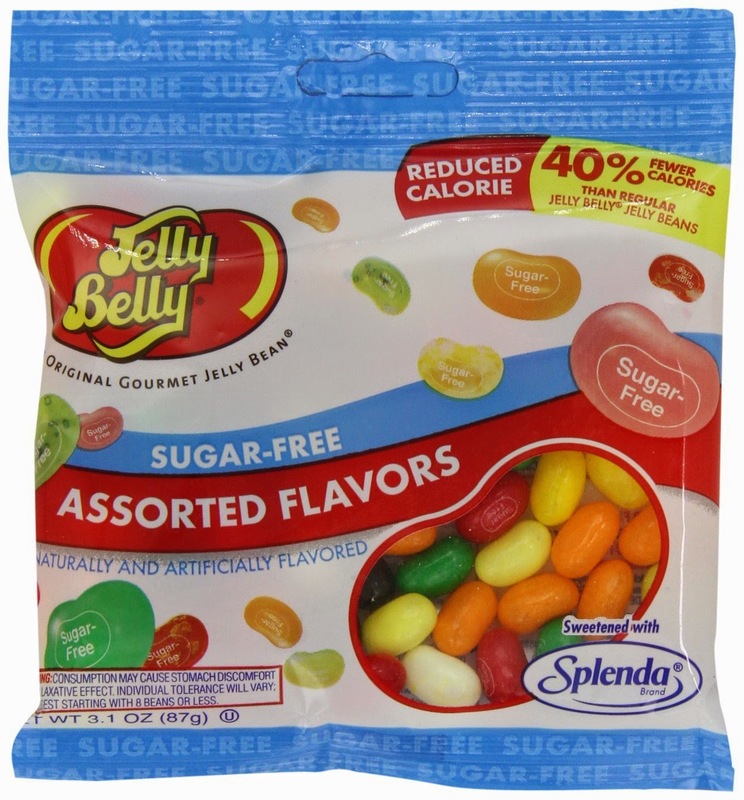 The sugar free jelly beans she ate contained maltitol and she found out that another popular artificial sweetener - sorbitol - can have the same laxative effect. Now she makes sure to avoid eating anything that contains these 2 ingredients. Although I do not eat sugar free food, I sure learned something new about artificial sweeteners. For people who are on a low-sugar, low calorie diet or those who are diabetic, please make sure you read the ingredients list and look for warning signs. Chances are the foods you eat contain sugar alcohols that may upset your stomach and mess up your bathroom routine for a day or two. Of all the common sugar alcohols, erythritol is actually the best one and the safest because it does not cause digestive problems and diarrhea unless you eat a lot of the stuff.